It’s about that time of year. Time for Activision to start teasing the new Call of Duty. Of course, thanks to the studio rotation, it’s time to return to everyone’s favourite COD makers, Treyarch. This means that they can use Black Ops II to build a bit of marketing buzz, but they’re doing it in a strange new way. Call of Duty: Black Ops II got an update recently, adding a mysterious little touch to the console versions. Of course this was picked up by a YouTuber, Drift0r. 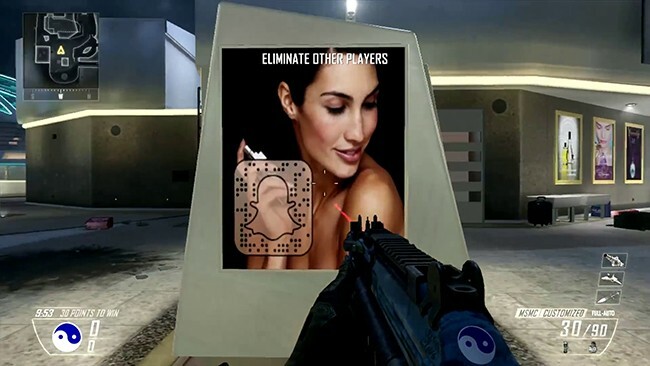 Here is his video exposing the Viral Campaign for Black Ops 3 inside of Black Ops 2. For those who don’t want to watch, the most important part is this image – a poster shown on two maps in Blops 2 which have a new ghost icon. I’m listening to the sound of the voice, but I’m not sure I’m understanding much more about this viral marketing campaign. I suppose we’ll hear more by the end of the month. Usually announcements with names and details for the games come at the end of April with some teasing in the weeks before. I suppose it’s teasing time and we’ll get confirmation of name and what to expect in a few weeks. Will a return to Black Ops herald a return to glory for the franchise? Are you excited to play this one as compared to the other new titles, or have you just become too jaded about Call of Duty titles?